Search-as-you-type allows your customers to browse and purchase products directly from your search bar. To optimise your customers’ searching experience, display rich product information like picture, name, price and even a call-to-action button to place the product in the basket. This will help you get the most out of Live-Search. The search doesn’t only display matching products to the customers search, but also the most popular products, based on their search. 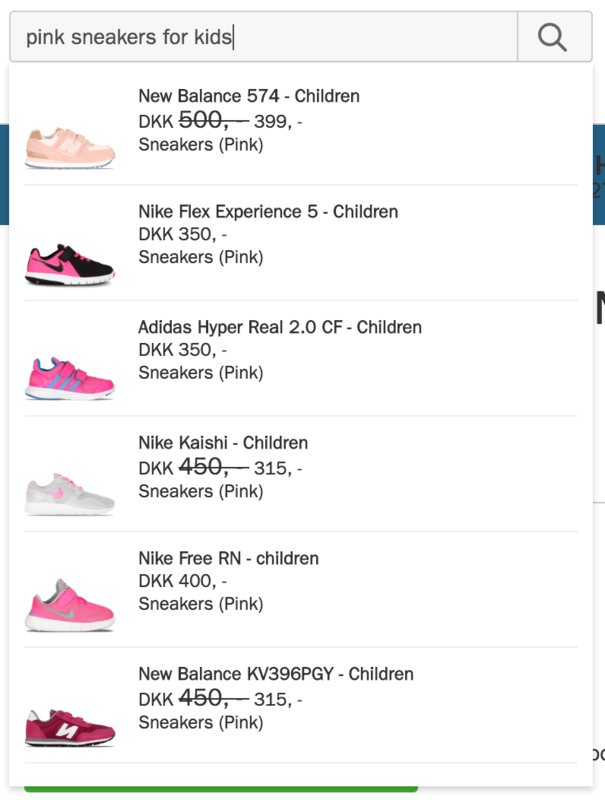 These functions make searching your webshop from the searchbar a seamless experience for the customer, and opens up your catalogue in a different way. An example of full phrase live search. 85% of search conversions on this store come directly from the live search.